You have reached the right destination for great food !!! Made the best way ever !!! We are now Online !!! We use the finest and freshest ingredients!! Koutoubia was established by Moroccan immigrant Michel Ohayon in 1978. With recipes handed down through his Mother and family, Koutoubia quickly gained the reputation as one of the best Moroccan restaurants in the country with Chefs, Food Critics and Diners alike. 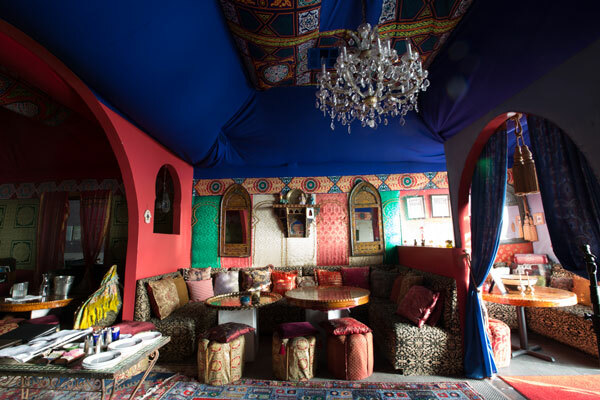 Today Koutoubia still offers traditional Moroccan cuisine alongside innovative Nouveau Moroccan dishes, hand crafted cocktails, Moroccan beers and wines. Reserve your table with us! ...These people definitely know their food. As usual,the atmosphere is great,food superb and the owners delightful. If you want fabulous Moroccan, do yourself a serious favor and try this place.